Not overly poppy, upbeat, or sweet – you may find yourself considering the Vespers more seriously, and you will not be disappointed! They really hit hard in the opening of this album, making sure you know what their sound is and that they aren’t afraid to rock and wail. Sisters and Brothers is a full-length, full-production release; with twelve tracks on the album, it is the third album for the Vespers. I confirmed on Wikipedia that the band is actually made up of two real brothers, Taylor and Bruno Jones; and two sisters, Callie and Phoebe Cryar – Callie and Phoebe both sing on the album, but it’s not always clear who is taking the lead. The vocals blend beautifully with the country-ish instrumentation – the first descriptive comparisons that came to mind were that the lead vocals sound like the singer from the Sundays, over a band that is reminiscent of good ol’ Whiskeytown (if some of their alt-country songs had even more edge, and feisty female vocals). The album begins almost exactly like “Ohio” by Neil Young, with a plunking banjo that seems to speed up as the lead singer brandishes a voice like an indie Gretchen Wilson. The words “Everybody looks like someone else, we all just wanna look like ourselves” encourage one to “break the cycle” – in line with the band’s website admission that this album is inherently about growth and discovery. With that said, nothing about this feels adolescent or naïve, and the music on Sisters and Brothers should appeal to almost everyone. The fifth song opens with bright piano chords, creating a rhythmic background for the second leading vocalist to pop through with an equally lovely yet grittier voice of her own. There is enough energy on the repeating chorus at the end to evoke Bonnie Tyler herself (“It’s not enough!”). And track #6 “Out West” is just a big ol’ moody country song, like something performed by Carrie Underwood – brimming with a heavy molasses feeling of deep and sorrowful secrets. “Signs” is one of my favorites – super-upbeat and danceable, with funky organ instrumentation that creates a vibe like Dolly Parton-meets-Tony Basil. Given the somewhat somber mood of some other songs on this album, this is a refreshing change to something lighter. The next song opens with fresh banjo picking, and great harmonies on this delicate track about a “churchgoing girl” with “perfect attendance”. Beautiful piano fills in like little rain drops, building a full wave of instrumentation. “The Curtain” is a stripped-down contrast to some of the big, rocking openers on this album – but as always, the singing is fantastic on every track. Track #10 “Please” is a little slow for my liking, but it is also the kind of song that will eventually grow into a favorite. There is no shortage of emotion coming from the desperately pleading lyrics and angsty vocals. And just when you think the album has turned into a soft collection of lullabies, “You Leave Me” breaks out with a ton of vintage soul and raucous attitude. I think I’ve heard this track before on some Public Radio show – it definitely could be considered the “hit single”! Finally comes “Thirst No More”, the hymn-like closing song with gorgeous violins and tribal drums beneath. This song is less country, and more Innocence Mission – at once gentle, and ethereal. There is enough variety from track to track that you won’t ever get bored. 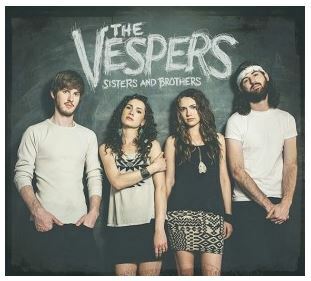 I think the Vespers would be an amazing band to see live, and if you check out their website you’ll find they have PLENTY of upcoming shows in their lineup across the US. What impressed me the most about this group is that while their sound is not necessarily new, the variety of song styles they are willing to try on a single album is ambitious yet effective – somehow this diversity of content is unified by the awesomely unique, almost hauntingly elfin vocals that allow the group to leave its own mark. *Please note: This piece was originally posted on EarToTheGroundMusic.co on April 26, 2015 – the image shown was captured from that website. The article itself was written by rockmycommute and is subject to my copyright notice as detailed in the About link. I took last Tuesday off for a little “me” time – I really needed a break from everything! But now I’m back, ready to rock and roll with plenty of new CDs and suggestions to review. The partnership with EarToTheGround Music is going really well, and I love hearing the awesome new artists they are sending my way. Check out their website, since they publish a brand-new music review by one of their authors every day of the week! Finally – thanks to those of you who gave me a “like” on FB directly (or indirectly) for the Carter Sampson piece. Ruth and Naomi will get a CD from my collection as soon as I can get the envelopes together. I appreciate all of the support! Now this is the kind of album I have been waiting for! 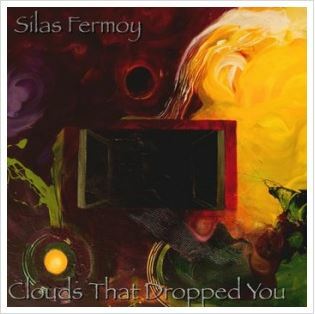 Clouds That Dropped You is something that sounds new enough to be exciting, but familiar enough to be instantly appreciated. His picture may look a bit like Justin Timberlake, but according to his bio just five years ago Joshua Mash was playing gigs in NYC under the name Shilo Andrews – now he is Silas Fermoy and the sky is the limit. I foresee great things for this talented, fresh and innovative artist. On the first track – “Passed Time” – the Hammond Organ sound starts simply enough, with a little choral reverb and static-y sound featuring prominently within the clearly sung lyrics. You’ll notice this sounds a little bit like the Killers, but more upbeat and lighter – with a great indie whine on the guitar solo. The song is catchy and pleasant, with a message about how “you never grow but you feel safe anyway” that breaks into a call-and-response-chorus with a great complexity of sound effects. It finishes with that cool, retro fade effect that I adore. If I had to choose a least favorite, it is probably the title track (#4), as it is definitely the slower and more lyrical song on the album – like a carefully crafted Guster song. I have to admit, there are eventually great drums here, just like on the whole album – it really moves into a driving piano-based beat on the chorus. I can also see a little Arcade Fire influence here, with a great rocking guitar under delicate vocals. However, I do feel like sometimes the songs on this album move through too many elements and exploratory phases in a short time span – personally I think it is OK for a piece to just sound like itself. With that said, there are absolutely no moments when the music is stagnant; when the songs do not feel full of movement. Change can be good! Overall, I have to say that this release has so much energy, and attitude! I love Josh’s expressive voice, with the unique and extra-wobbly vibrato on the sustained notes. The music is definitely danceable on almost every track, without losing substance or becoming too “bubblegum”. And there is nothing distracting about the quality of the recording – it is truly a well-planned and well-produced piece of work. You will really enjoy this! *Originally published as full-length review with commentary on all tracks; published on the ETTG blog (www.eartothegroundmusic.co) on April 19. Image captured from ETTG website. March was full of milder music for me – my commute actually wasn’t very rocking, on most days! I covered three artists suggested by EarToTheGround Music, and they focus mostly on indie folk, bluegrass, acoustic, and country-esque genres. Throw in some Other Lives, and Mandolin Orange; and the overall melange is still pretty chill. Sure, I added Beck to the mix – but his album Morning Phase is gentle even in it’s wildest moments! When I put my favorite tracks together for the March Spotify Playlist I was pleasantly surprised by the resulting ebb and flow of one great song into the next – even if the music didn’t tempt me to whip my hair around or play air guitar at a stoplight. Sometimes, mellow is exactly what you need! Please check out my most recent Playlist on Spotify here: https://play.spotify.com/user/rockmycommute/playlist/0PjIQX2wn056ZgexiUgqcg – I even added two tracks from an old favorite band for your enjoyment. Also please read my review of Carter Sampson’s new EP. I highly recommend that you check out her earlier releases also – they’re excellent! Finally, if you comment on my blog or “like” my Carter Sampson post on Facebook, I’ll try to send you one of the CDs that I have kicking around. Thanks for sticking with me for another month! 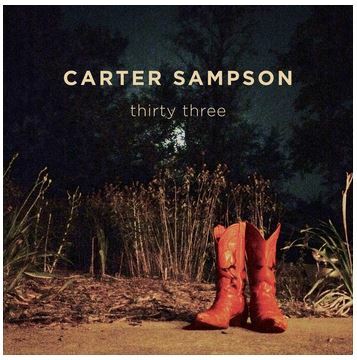 When you check out Carter Sampson’s Bandcamp page, you’ll notice that Thirty Three is the “fourth independent studio release” for Carter, and her first solo acoustic EP. Right from the beginning, you can tell this album is more country (in style) than most of the neo-folk/indie pieces I have been reviewing for EarToTheGround Music so far. Carter’s voice on this EP is similar to Kimberly Perry, the lead singer of The Band Perry. The album makes an honest and direct opening with the song “I Am Yours” – an upbeat, simple and earthy introduction to Carter’s style. You will enjoy the album more if you remember that this is all solo acoustic work – stop looking for the fancy stuff and just enjoy this good quality musicianship! Some of the songs would possibly be more exciting and catchy if jazzed up with more backing vocals, diverse instrumentation, and some rockin’ drums and bassline. However, the no-nonsense beauty of each track allows Carter to really demonstrate her craft as a writer and a singer. On the 2nd track – “See the Devil Run” – she creates a sound very similar to Sheryl Crow on her more countrified pieces. This song is slower than the first, really highlighting Carter’s confident voice and good solid guitar. The next track had such a similar tempo and style as the previous song that initially I struggled to see much of a contrast. But after a few listens, I realized that “Highway Rider” is actually quite catchy (in a mellow, slow way), and has a recognizable chorus – you will be singing along to in no time to the easy-to-pick up lyrics like “time is money, and I’ve got nothing but time”. “Twilight” is another slow song, with an intriguing chord tension that eases into a pleasantly resolved melody. The album ends on a philosophical note with “Wild Bird”, featuring plenty of good country-style strumming and the wildest, most raw vocals yet, supporting woeful and contemplative lyrics. And that’s all, folks – just 5 tracks on the EP. So short and sweet in fact, that I found myself waiting to learn more about Carter Sampson. I tried to find some of Carter’s previous releases to see how this new EP compared to her earlier work, and I’m so glad I did. I found that Thirty Three is not just a demo for an emerging singer-songwriter, but rather a special treasure for fans of an already well-established artist, sitting on three other amazing studio albums. Fly Over The Moon (2004) is still a little stripped down, but it is energetic and upbeat, with a youthful, Ani DiFranco appeal. Good for the Meantime (2008) is one excellent song after another, and reminds me of some of the great albums by Nashville’s own Mindy Smith. And most recently, Mockingbird Sing (2011) presents a full-blown production of a more mature Carter, with rocking electric guitars and lots of energy that I would compare to the Indigo Girls, among the other female artists I have already mentioned. Carter is not setting out to re-invent the wheel with this release, or create a new genre, or to get you to say “wow, that’s really something different”. But if you already like that new Nashville sound with a little traditional country, you will appreciate adding her new release to your rotation. If you are already a fan of Carter’s other albums, you should be excited to add this little EP to your collection. Her voice is perfect for this kind of elemental music, and the songs are solid – not corny, cliché or pretentious at all. As the weather gets warmer, and we are drawn more to the outdoors and to the simple things in life, it will be the perfect time to check out Thirty Three. Enjoy! *Photo not taken by rockmycommute. This is album art as presented on Carter’s bandcamp site, and shown here with the utmost respect. The article itself was written by rockmycommute and is subject to my copyright notice as detailed in the About link. 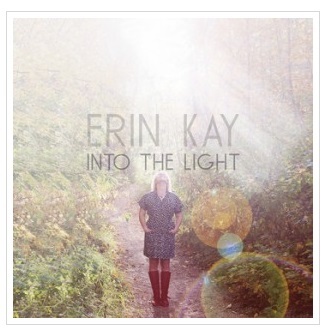 Looking at the cover art of Erin’s recent 2014 release Into the Light, you see a woman with nothing to prove – fully confident and rejoicing in the light and natural splendor that surrounds her. It is a really good image that fits with the style and tone of her enjoyable music. Her bandcamp profile compares her to Joni Mitchell (well-known of course) and also Serena Ryder and Brandi Carlile (you may be slightly less familiar with these two). At first listen, Erin’s voice takes me back to the great angsty female singer-songwriters of the 90s à la Paula Cole – and even good ol’ Alanis Morissette. What I like about Erin initially is that her voice is aggressive, emotional and deliberate – this type of music can often feature a breathy vocalist that can’t convey much intention. But Erin’s voice comes across very strong and full of conviction. She plays guitar and sings, and she is also the primary pianist for the album. In this respect she is similar to Sarah Bareilles who is also a piano-based artist with an amazing voice and poignant songs. The opening song – “Into the Light” – starts out with a bare structure of simple piano, but then opens up to pull you in with richer instrumentation. It is really a promising and solid first track that will make you want to hear the whole album. The music on the second track (“Let You Down”) is gorgeous and strummy – reminds me of music from Cranberries or Sixpence None the Richer that just puts you into a beautiful frame of mind. The song is slow, but brimming with energy that does not drag. Track #3 (“Come On Home”) has the driving, upbeat rhythms that I always look for on a good album – you can’t have just one quiet song after another or the collection just falls flat. This piece shows that Erin is capable of writing a variety of songs that don’t all sound the same. Her voice rings especially raw, confident, and true on this track. “Peace of Mind” is next – a little slower, and a little sadder. But even this track eventually blooms with a little bit of country guitar that will have you swaying along. This is music that you can really feel – perfect for an autumn afternoon or a rainy morning when you are alone with your thoughts. The song doesn’t actually close, but has a fade-out-ending – remember when that used to be done all the time? Sometimes it is still really nice to keep the mood going in that way. Overall, I have to say I love Erin’s voice. I love her ability to infuse each track with so much emotion, with these piano chords that reverb right into your gut. I just wish she ended the album on a more upbeat note with another one of her more energetic songs that would pull all of this great work together – to remind us of how strong and versatile she is. Regardless, if you like some of the comparable artists that I have referenced here, with touching lyrics and heartfelt melodies; then you will enjoy Erin Kay. She is from Edmonton, Alberta – so you might not be able to catch her in a live show locally anytime soon. But in the meantime I heartily encourage you to check out her sweet, sunny website and enjoy her well-crafted album. *Please note: This piece was originally posted on EarToTheGroundMusic.co on March 29, 2015 – the image shown was captured from that website. The article itself was written by rockmycommute and is subject to my copyright notice as detailed in the About link.